We held a staff social event for over 30 people at The Boo Bowls. From the point of initial inquiry through to post event communication they were fabulous to deal with, very thorough, organised and friendly. The event ran smoothly, they checked in with us regularly to ensure everything was going well and organised the timing of food and so on perfectly. I can’t recommend them enough for a fun and light hearted event whether it’s a work group, birthday, family party or anything. They are flexible and suitable for all! Thank you Boo team – you are ALWAYS so accommodating and we love going to the Boo!! Thanks for having us on Saturday and another great event. Service and food are fantastic and always recommend you guys to our friends. Thanks again. Our function at the Boo was once again outstanding! Thank you for everything. It is our third Boo party and it’s no wonder we keep coming back. The service is exceptional – Shae was just fabulous on the day, as always. The staff were always checking timing/bar tab etc and that we were happy with the way everything was progressing. They all went out of their way for us, Shae even helped take our decorations down at the conclusion of the function. Our guests love the venue also and always comment on the friendly atmosphere at the Boo. Thanks again to all involved on Friday – we will see you next year! Thank you for a thoroughly enjoyable Christmas Party last Thursday. Your staff made it a very easy process from start to end with just the right amount of easy going about them to make it chill! The feedback from our staff was very positive and I personally really enjoyed my burger following the bowls. Well done guys, I would definitely consider you for any future events. Best regards. Huge thank you to the entire Boo Crew for looking after us for our end of year celebration. We love coming to The Boo for the delicious food and the outstanding service! It is clear each and every one of you love what you do as you are always so friendly and welcoming. I would like to express my thanks to everyone involved in making our function a success. We were well looked after by what I observed as very professional staff, special thanks go to Cynthia for coordinating on a financial and event catering side, and annoyingly. Adam for coordinating all our food orders, including accommodating the mix up without a fuss. Great service and I was very impressed by his approach. He had us organised and was very attentive to ensure we were happy with our orders and settled. Thanks to Shae for getting us organised on the bowling side of things. I take my hat off to the bar staff working under such pressured conditions, with a never-ending line of customers, and of course, dealing with the heat in an area that was not well ventilated. Their patience is to be commended. Also a big mention to the staff who quietly went about their job cleaning up the mess after everyone, no mean feat and again, never-ending. All in all, everyone had an enjoyable time. I will highly recommend to my colleagues should they be seeking a place to have a work function, or even a private function. Kind regards. A great experience from beginning to end. Cynthia was a great help through the booking process and with little effort on my end, that continued with the smooth delivery of a function for 115! Nothing was too much trouble, the Boo Crew smashed it! It was with great disappointment that I (and 2 other staff) were not able to make it on Saturday night for our work Christmas Party, due to illness. I asked around the staff to see how the night went, and I am happy to say that everyone had a great time. 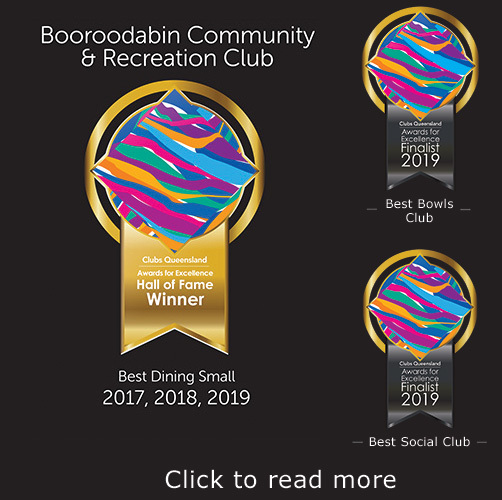 They said the food was great, staff were very friendly and helpful, the venue had a great atmosphere and the bowling was fun even if a few got a bit competitive, lol. So thankyou again for all your help in the planning and executing of the night. Merry Christmas. Just wanted to say thanks so much for being accommodating. It’s the little extras that we noticed – like going above and beyond to allow us to use your Boardroom for our Strategic Planning session, and bringing in a bowl of mints and cold water for us. Also, I wasn’t expecting someone to introduce us to bowling and how it all works. Much appreciated, and very impressed indeed! Thanks again. Thank you very much for hosting our work Christmas party on Friday of last week. My work colleges and I thoroughly enjoyed ourselves at The BOO. Each person was very satisfied with their food choice with all meals tasting exceptional with easy access to their dinner. The atmosphere was fun and vibrant with awesome music. Once again thank you and Merry Christmas. We had a great time last Saturday!! The food was great and staff / service was excellent. A number of our guests commented about the venue. We usually do a different bowls club each year to keep it fresh and different. You guys and gals are making it difficult to go elsewhere next year !! Thank you so much, You guys did an awesome job! Great service as usual. Thank you to all the Boo team for your friendly and efficient service. We will recommend you to our friends.